It’s funny, when people heard that Michael and I were going to LA on vacation the first question was “Why?” and the second was “Are you visiting family?” Apparently the only reason to go to LA on vacation is to visit family. I don’t get the disdain for Los Angeles. It’s a city full of glamour, grit and intrigue. It’s a city that has felt like a fairy tale for me because it’s the home of movies and so many books take place there. I don’t know what I expected before I went to LA. I knew the smog was going to be bad, I knew traffic would be horrendous. I had secret hopes that I’d see celebrities at the local coffee shop and I was dying to see the famous landmarks! 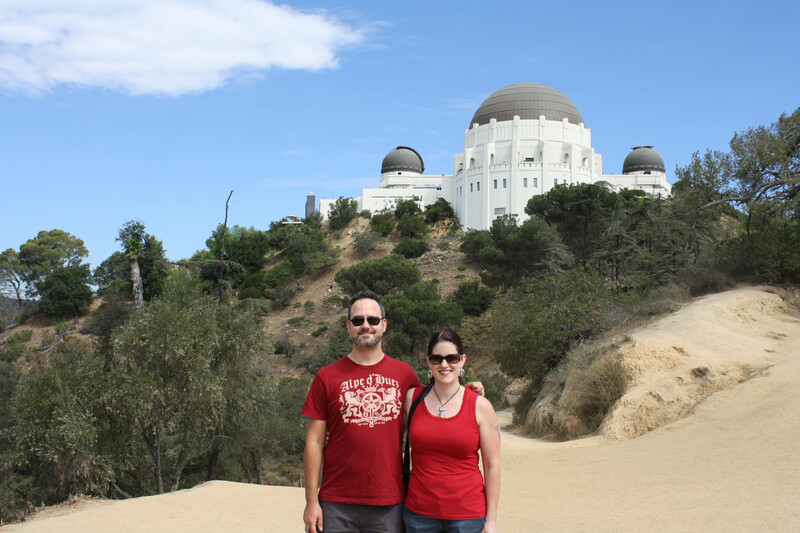 Griffith Park and the Observatory was on the list, the Hollywood sign, Sunset Blvd, Whisky A Go-Go, Venice Beach, Rodeo Drive…What was cool is that the growing list of “must sees” included A LOT of free stuff! I’ve got a few posts about my trip to California that I’m working on. This post, one about the food, two of the must-see things. 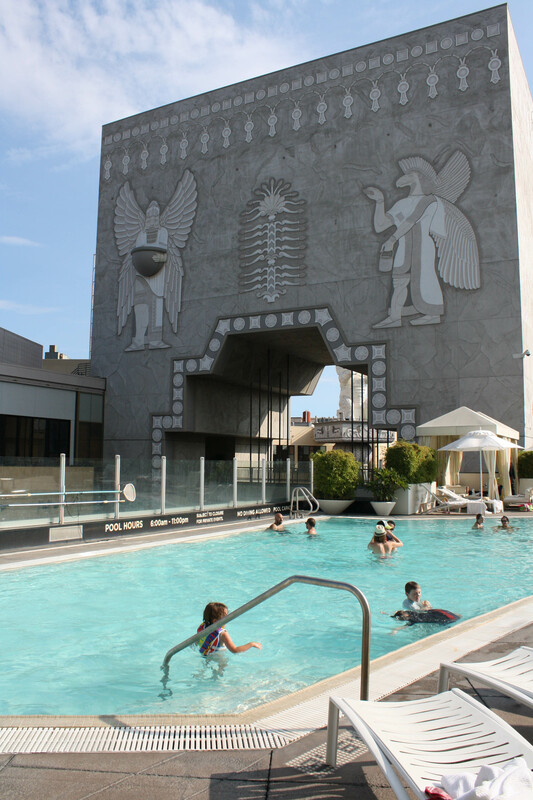 The Loew’s Hollywood Hotel was really nice and centrally located but it was also part of a mall–which was weird. The stereotype of California being just a bunch of strip malls is pretty accurate from what I saw. They were everywhere. The open air mall that was attached to the hotel was okay but I’m not really a mall person. Also, the parking was SUPER expensive ($14/day and you couldn’t go in and out so if you didn’t plan it right, you could be paying $10-14 several times a day!!). That was a pain. Hollywood Blvd felt a lot like the Las Vegas Strip, but a little grimier. There weren’t a lot of food options nearby (McDonald’s and other mall-type food) and what was close was very expensive. That was kind of a let down. 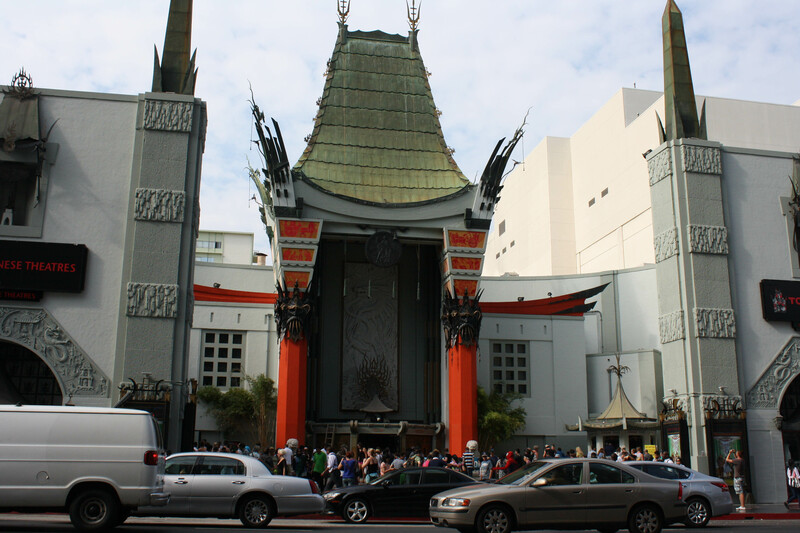 We were only two blocks from Sunset Blvd which had more options, but since we didn’t know the area well, walking was difficult. 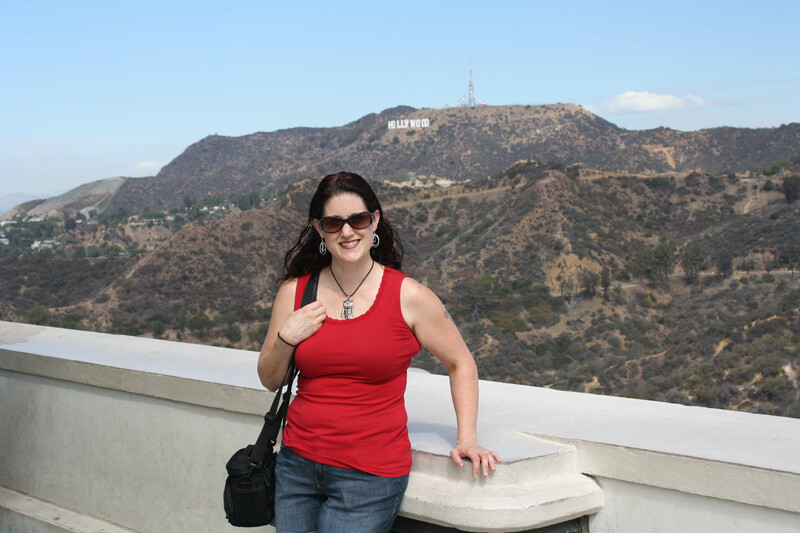 The Hollywood Sign was cliche but a “must see” for me. I found directions online for the best spots to view it at. We took this very terrifying, narrow, winding road up a residential street that took us to what I think was a park next to the Hollywood sign but it was blocked off. Couldn’t get any closer! But I got a great photo! 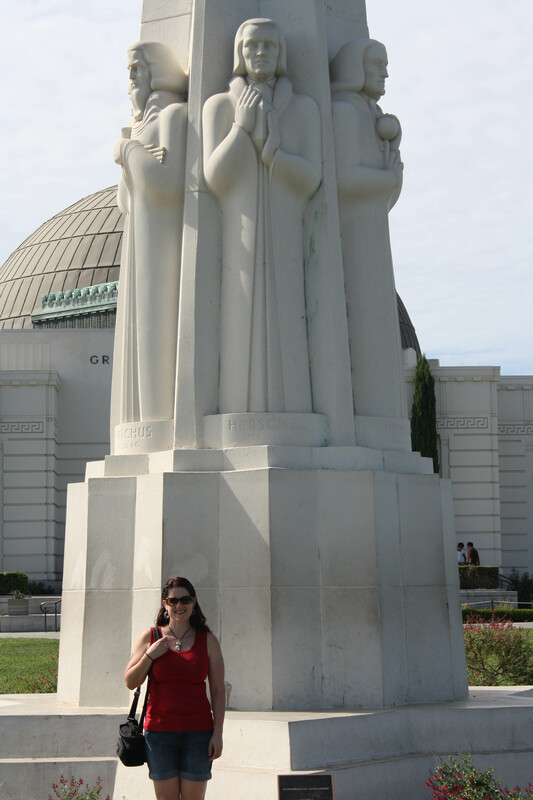 Griffith Park/Observatory was one of the best things about the trip. I loved how cool the park was. There were miles and miles of trails for hiking or running, parking was free and the observatory was free, too! The views of LA and the park were so worth it. Michael and I went for a short hike down on the other side of the observatory and got some great photos of it. Saw a bunch of ridiculously priced things, some fancy cars and bad plastic surgery. 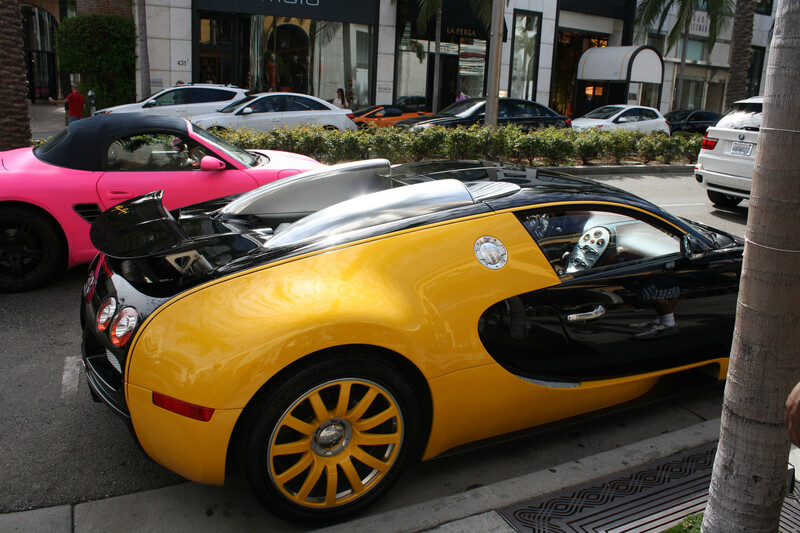 The yellow car above is a Bugatti. Apparently that’s fancy. 😉 Most of all it was just kind of fun walking around in a fantasy world. Beverly Hills was nearby and the houses were insane. 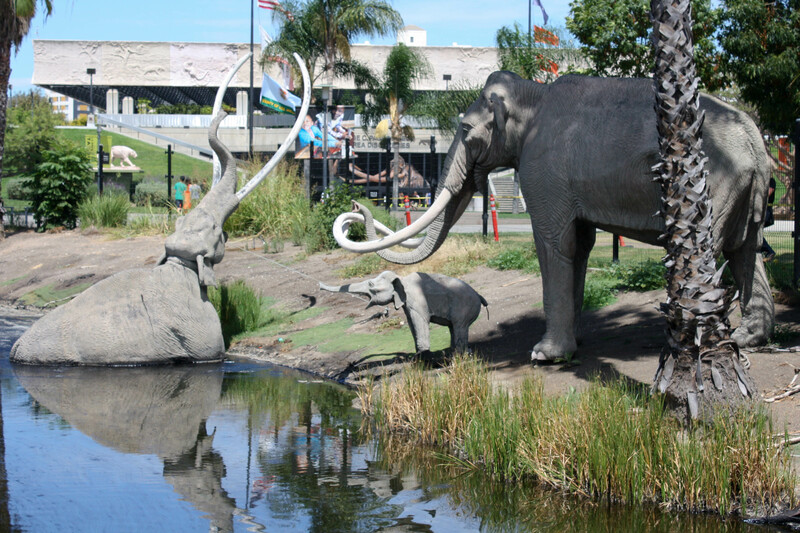 La Brea Tar Pits were good for kids. There was a really big park that you could walk around in and it was free. There were a few museums, which we did not go to, and a nice bar/restaurant in the shade (more on that later). 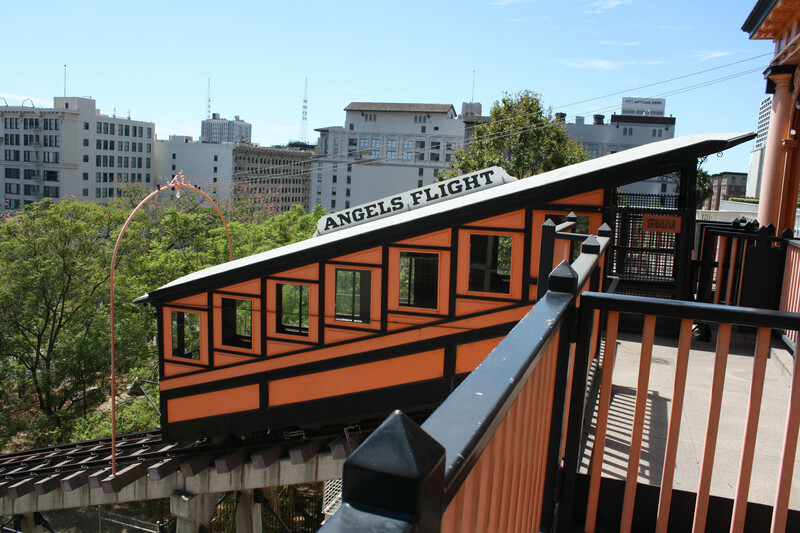 Angel’s Flight was something I wanted to see because I’ve read about it for years in books–mostly detective novels. It seems as though all detective novels take place in LA and have to mention Angel’s Flight. 🙂 We paid 50 cents each to ride to the top. It was fun. It was in downtown LA and there wasn’t much else to do around there. We tried to go to the library, which is supposedly beautiful, but it was closed. So was the Bradbury Building. I was disappointed I didn’t get to see the library but maybe next time! 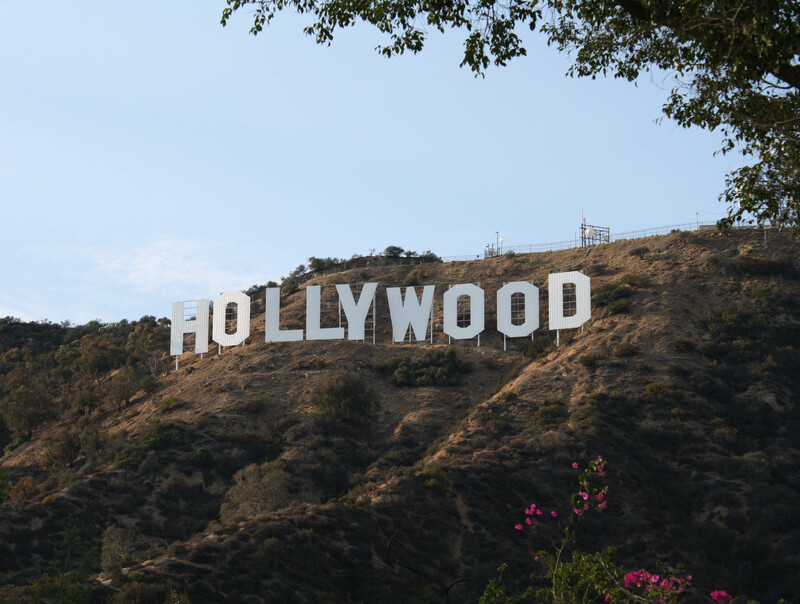 QUESTION: Ever been to LA? What were your favorite “must sees”? Great photos! I have only been to Disneyland in CA. Lori recently posted..AIM: The Thinternet: Tool or Tormenter? I went to Disneyland as a kid and barely remembered any of it. I enjoyed everything we did. I think we spent one day too many in LA and should have spent that at the beach, but live and learn. I love venturing out to the beach cities like Hermosa Beach and Manhattan Beach where the vibe is fun and low-key. And one of my favorite spots is the Arboretum in Arcadia – about 20 minutes away on the freeway. Lisa recently posted..Do you believe in karma? Manhattan Beach was awesome! If I was going to go back for a visit I’d definitely spend most of my time on the beaches. I grew up there too and I agree with Lisa above, the best parts of SoCal are not the touristy spots that everyone thinks of. A laid back beach town, like the ones she mentioned above (and many more) are great places to go for good food and watching the surf/people. They are much more typical of SoCal life than Hollywood, downtown LA, etc. The beach towns make me homesick! But at least you can say you saw those landmarks! And usually the best celebrity spotting happens at LAX, every time I’ve been I’ve seen someone famous, also the LA Zoo of all places. LA is definitely an “experience” to those who aren’t from there. I don’t miss it much, did you notice the lack of trees? LA always looks so brown/gray to me when we go back. Did you notice how plastic and fake ALL of the TV news people looked? That always shocks me again when we visit. Living here in the PNW now you see “real” people on the news. Was the Getty museum on your list of places? The Getty would definitely be on my must-see list – so beautiful. Have been to LA several times have to admit it doesn’t float my boat in the same way Napa or San Francisco does. There are so many parts of CA we’ve not been to and would love to go. I wanted to go somewhere I’ve never been before. I went on a road trip to SF about 10 years ago and loved it. I’d definitely go back! 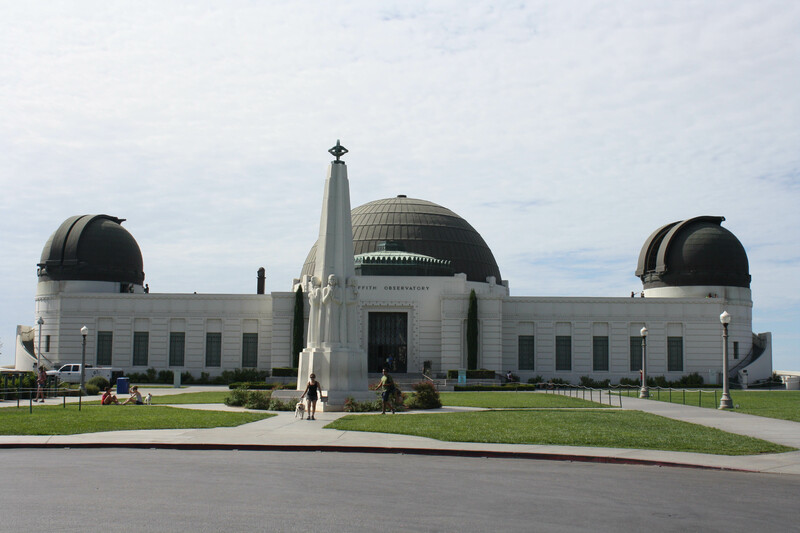 The Getty Museum and the Getty Villa are two places I’d definitely go, and the Griffith Park & Observatory. The aquarium in Long Beach is great too. I’ve never been to the Tar Pits, so I’d like to go there. 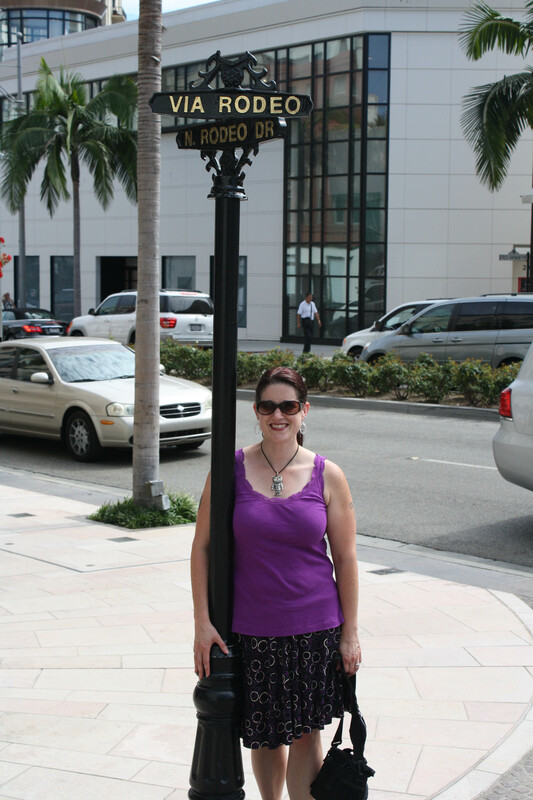 I was disappointed by Rodeo Drive – I thought it would be much longer! The most fascinating part was going in the clothing stores that had 3 or 4 of each item and they appeared to be hand sewn. 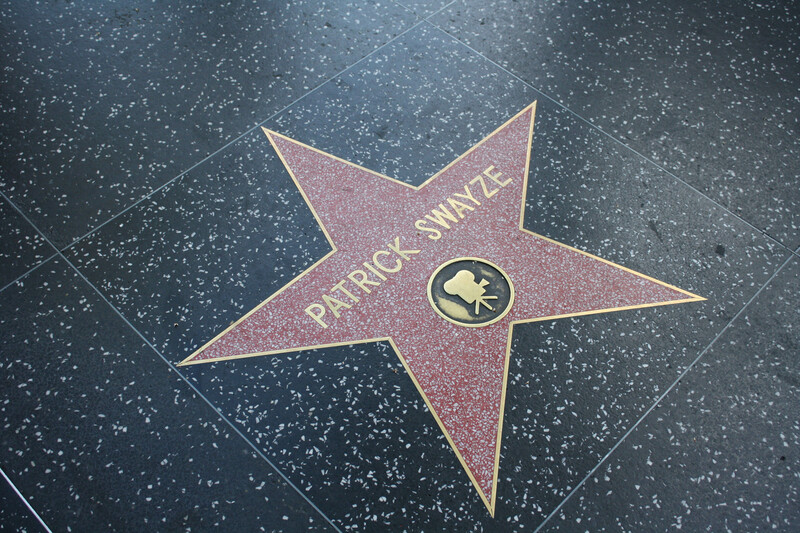 My dad lived in Hermosa Beach for a while. One visit we went and did some of the touristy stuff that you did. Did you go to West Hollywood? Yep, went to West Hollywood. Liked it a lot! I’ve been to LA twice. Once as a 12 year old, and all we did was go to Disneyland. The second time I was 24 and my best friend (who lives in London) flew to LA to hang out for 4 days. I was already in the states for a 3 week trip. We did Disneyland, found a mall and went shopping, then stayed just off Sunset for a couple of days and went to Santa Monica, did the Hollywood thing, and shopped some more. 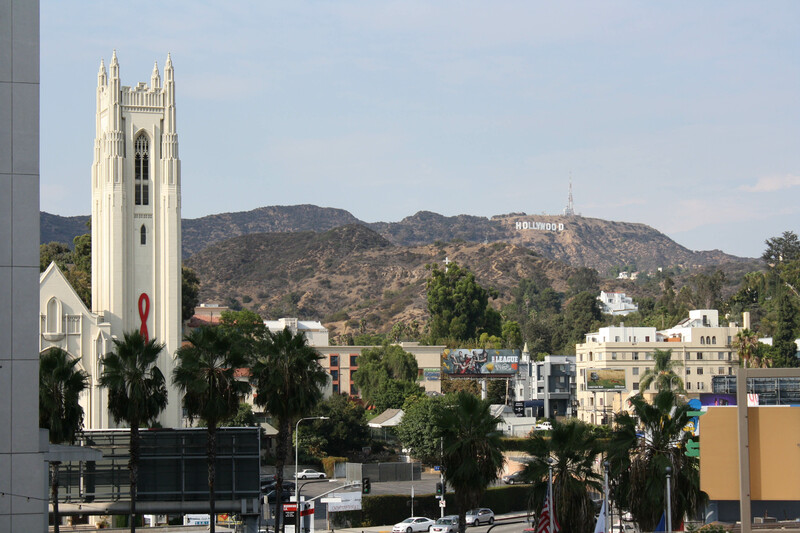 I didn’t really like LA (the rest of the country was so much better) but I loved the company! That sounds fun! I definitely agree, the other parts of California were better than LA but at least I can say I’ve been now.